The new edition of the Pavlyukov Youth Memorial Tournament was held in Anapa, Russia in the recent days and several of our strong Asian teams are attended in the competition and proved the bright future of our continent. 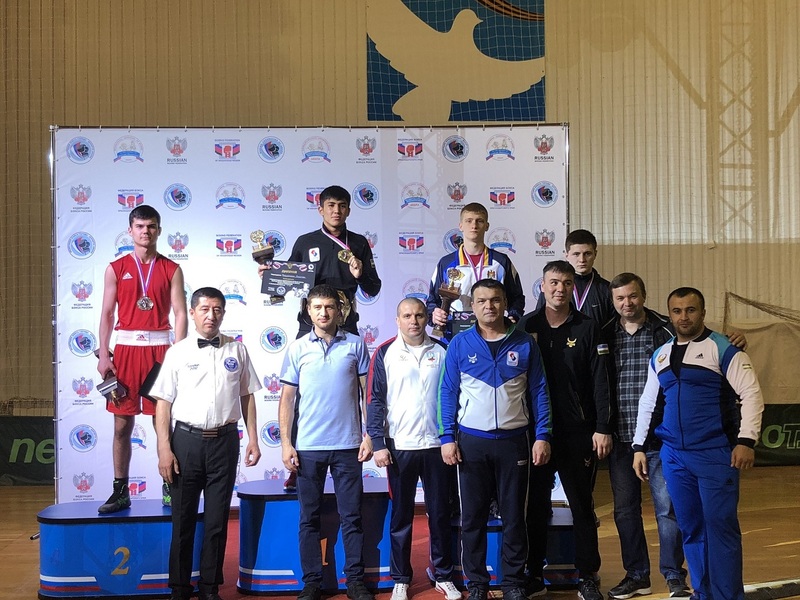 The Asian teams got three titles, six silver medals and eight bronze medals in the Pavlyukov Youth Memorial Tournament achieving nearly 50% of all available podium places in Anapa. Boxers who were born in 2001 or in 2002 were eligible to compete in the super strong Pavlyukov Youth Memorial Tournament. Uzbekistan achieved two titles as both of their boxers won their tough finals while Kazakhstan remained seven athletes in the last day of Pavlyukov Youth Memorial Tournament but among them only one could win the gold medal. Uzbekistan’s Shakhzod Muzaffarov won their Youth National Cup last November but he is newcomer in this age group. The 16-year-old Uzbek eliminated tough boxers during his road to the final of the light flyweight (49kg) where he met with another top Asian future hope, Kazakhstan’s Mukhammedsabyr Bazarbayuli who was also born in 2002. Muzaffarov was slightly better in their final and claimed Uzbekistan’s first title in the Pavlyukov Youth Memorial Tournament. Kazakhstan’s ASBC Asian Youth Champion and Budapest 2018 AIBA Youth World Boxing Championships bronze medallist Makhmud Sabyrkhan moved up to the flyweight (52kg) this year and demonstrated his world class performance in Anapa. The 17-year-old promising star faced with his Kazakh teammate Talgat Syrymbetov in the final which was dominated by Sabyrkhan’s strength and technical advantages. Uzbekistan’s Asadkhudja Muydinkhudjayev reached strong junior results and as a youth boxer he also impressed already in 2018. The 17-year-old Uzbek moved up to the light welterweight (64kg) but his energetic style was too much for all of his opponents in Anapa. The top Uzbek youth boxer has done remarkable performance and controlled his final against Russia’s No.1 Akhmadshokh Makhmadshoyev which was enough to win his nation’s second gold medal in the event. Following Mukhammedsabyr Bazarbayuli’s and Talgat Syrymbetov’s silver medals, Kazakhstan had four further finalists in Anapa: Margulan Aidaruly (69kg), ASBC Asian Junior Champion Yerassyl Zhakpekov (75kg), ASBC Asian Youth Champion Sagyndyk Togambay (91kg) and Amanat Sabyrgali (+91kg) who became runner-up in the event. Kyrgyzstan also joined to the event and in spite of the fact that their No.1 Nuradin Rustambek Uulu (69kg) lost his quarter-final bout, Mirzokhid Imamnazarov (60kg) and Akhmed Usupov (+91kg) earned bronze medals. Philippines sent three boxers to Anapa and all of them as Kenneth De La Pena (49kg), John Vincent Pangga (52kg) and Norlan Petecio (60kg) reached the Top8. ASBC Asian Junior Champion Pangga became their best in the Pavlyukov Youth Memorial Tournament achieving a valuable bronze medal.